Processing management of the donations and donor relationship via email and SMS. Save time and money on donation processing and reinforce interaction with your donors when setting up relationship rules. Receive donations punctually or recurring by credit card without bureaucracy. Automatically send registered and unregistered billing tickets to your donors. For large donation volumes, get donations made directly from your donor’s account. Intelligent and automated flow to process donor payment collections. Reprocessing of failed charges through credit card and debit in account. 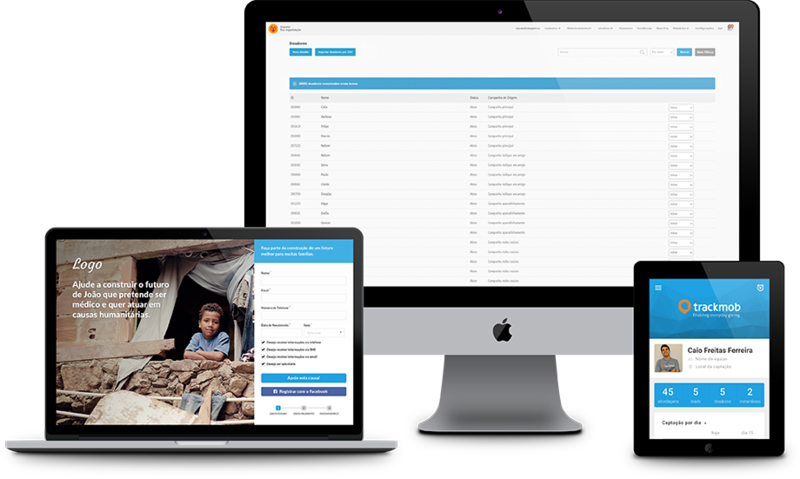 Set up solutions for payment failures and automatically notify your donors via email or SMS. Organize your donors into channels and campaigns and analyze the performance of your fundraising actions. Avoid communication errors by recording the history of all contacts with your donors. Safely manage all information about your leads, your donors and the actions you take. Get more assertive reporting with cross-channel data, campaigns and donors. Build email and SMS relationship rules to engage your donors and create a more efficient communication flow with them. Set up variables in relationship rules and humanize communication with your donors. Import new users to CRM, validate your data and include those contacts in new relationship rules. 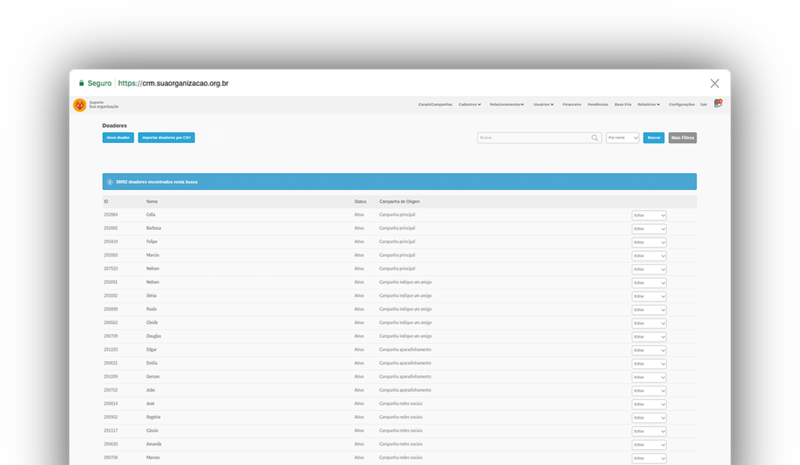 Target your donor information, export this data and use it in other tools. Have information autonomy and integrate it with other systems used by your organization. Monitored environment in real time and with daily backup of all data in your organization. Keep sensitive data from your donors in an encrypted, secure and monitored environment. Set different permissions for your team and avoid unwanted access to restricted data. 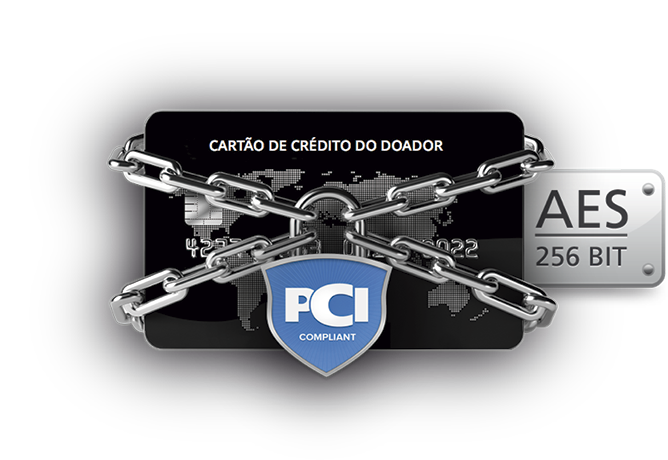 Our applications have PCI Compliance security certification with AES 256 BIT encryption. Therefore, the data are transacted with the same the security of banking systems. The largest organizations in Brazil rely on Trackmob to manage their donors and process their donations monthly. “The Trackmob platform was paramount to the success of my organization. I would not start raise funds without having a process of customer relationship (CRM) effective within my NGO. Thus I won it in productivity, process efficiency and automation." We are a company that specializes in offer technology solutions to provide an incredible experience to your donor. Contact us for more information.